MINNEAPOLIS/ST. PAUL – Target Center, in partnership with Sun Country Airlines and the MInneapolis Convention Center, announced last week a joint partnership to serve those in need in the aftermath of Hurricane Harvey. The venue hosted a diaper drive and encouraged downtown Minneapolis skyway commuters to contribute to the cause. The Minneapolis Convention Center served as a secondary drop site. Through donations collected from commuters, employees, and various community organizations,16,447 children and adult diapers and 17,984 wipes were collected to help those in need. “The Minneapolis Convention Center would like to thank the community for its generous response to the Hurricane Harvey Diaper Drive. So many families will benefit in this time of need from this outpouring of support," says Minneapolis Convention Center Director, Jeff Johnson. 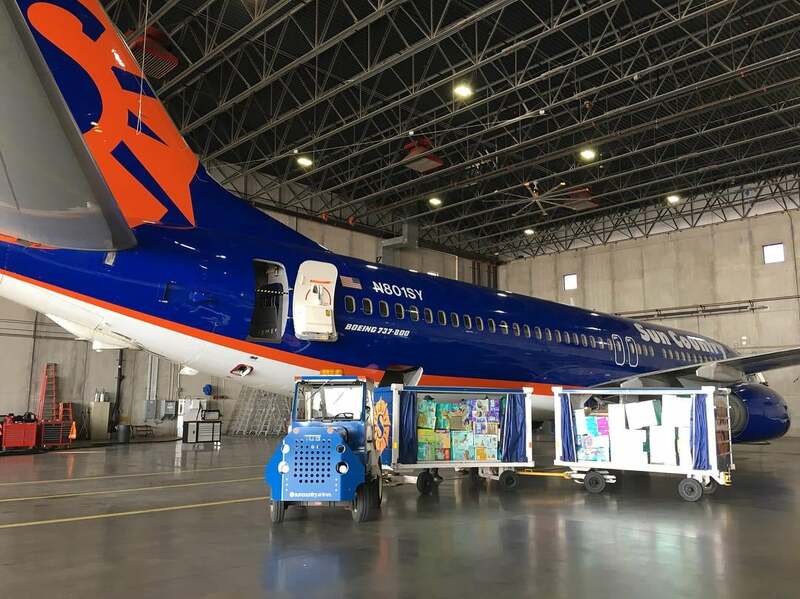 With the assistance of Sun Country Airlines, all donations were flown to Austin, TX, on Thursday. From there, Clampitt Paper transported the items to the Texas Diaper Bank in San Antonio. Boxes were supplied by Great Northern Company. "We are so grateful to Sun Country Airlines, the Minneapolis Convention Center, Clampitt Paper, and Great Northern Company for their partnership," says Target Center General Manager, Vice President, Steve Mattson. "Many people are in need during this time of crisis, and with their support and the support of our downtown community, we will make a difference." Since 1997 the Texas Diaper Bank has been working to meet the basic needs of vulnerable babies, children with disabilities and seniors, and the organization is requesting additional support for those affected by the national disaster. For more information on the Texas Diaper Bank and how you can help, please visit www.texasdiaperbank.org.